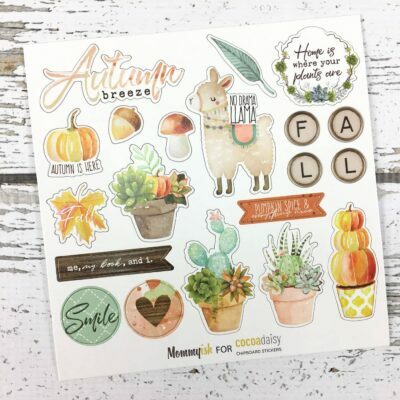 Today on the blog Kylie and I are going to show you how we used the Cherish Blossom kit stamps in our designs. 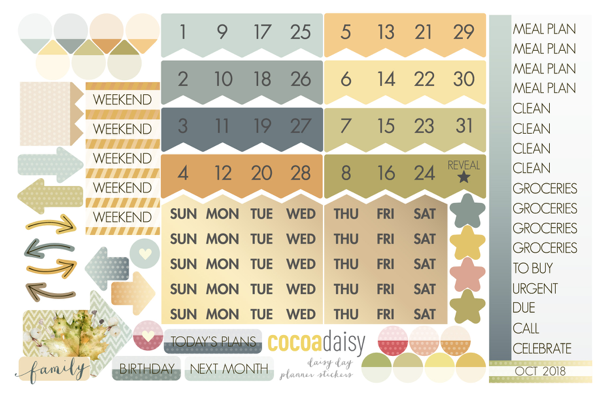 Kylie created a fun background in her Simple Dori using both stamp sets from the memory keeping kits. 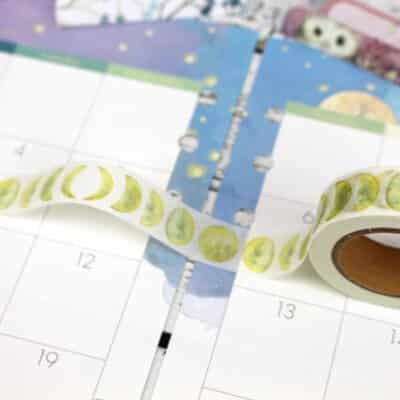 She used pastel green ink with the raindrop stamp from the Traveler’s Notebook kit to create a background which looks like scattered Spring leaves. Ooohhhh, this is so clever! Kylie added pink flowers to her background with the Pocket kit stamp in a pattern that draws the eye to the photo on the left side of her design. A beautiful fresh design highlighting the carefree nature of the photo that is the real star of this layout. 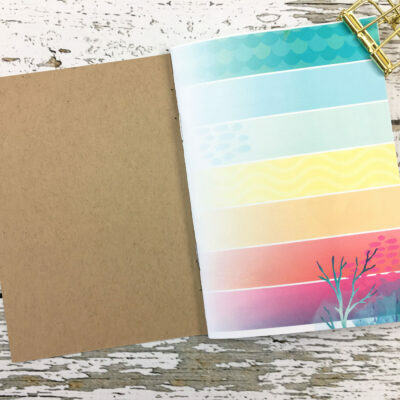 The second design with stamps we want to share is a mini pocket letter that I created using the memory keeping stamps as well as planner ephemera and papers from the planner and memory keeping kits. First, I chose paper to stamp the cranes and the paper airplane on. Then I fussy cut them and adhered foam dots on the back of each so they would pop up in my design. 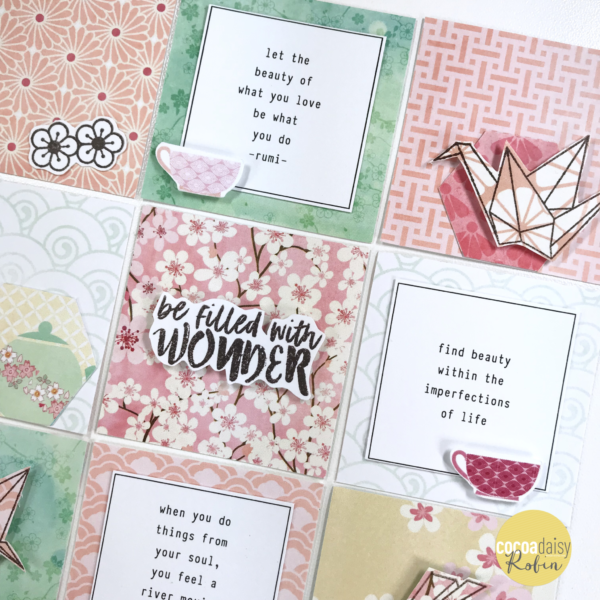 I stamped the cranes and paper airplane on paper scraps that remained after cutting out the 2×2 squares. Next, I fussy cut the hexagons from the memory keeping paper hexagon background paper and chose a few to include as ephemera on my 2×2 squares. I stamped the phrase I wanted to use as my title and the flowers too and fussy cut them as well. Finally, I chose a few quotes and the teacups from the planner ephemera to include in my design. I loved the miniature idea so much and thought it would come together quickly however it’s important to note that working with 2×2 pockets requires a bit of patience to find the flow you want to achieve around the pockets. 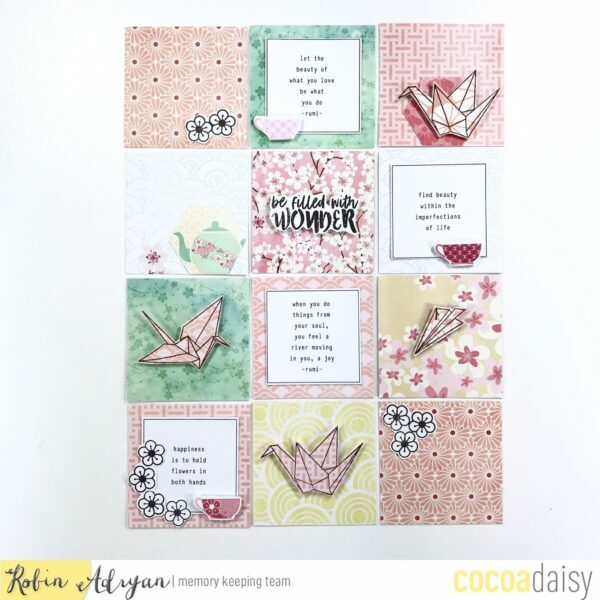 And I forgot to add my hexagon to the bottom middle crane square, which I didn’t notice until I was writing this post! I still love the way my mini pocket letter came together and I will definitely make a similar design for my Book of Me. My book is a compendium of things I love including papers, yarn, cards, other bits, and quotes. 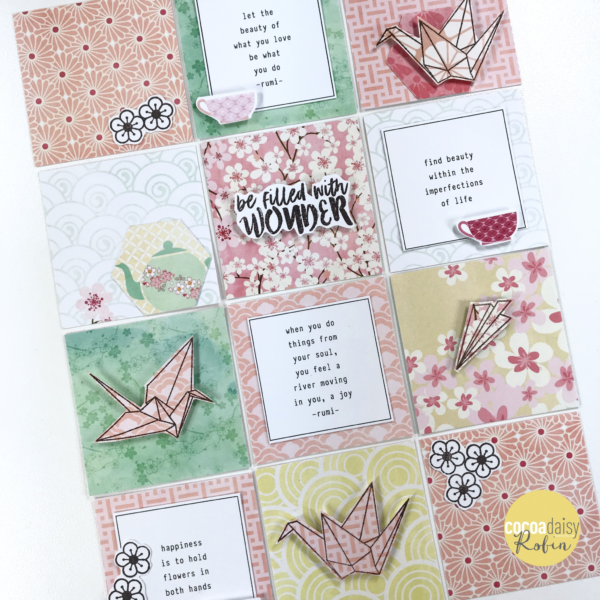 I adore this month’s kits so much and want to be sure there is a special design in my book that is a sweet reminder of my time stationed in Okinawa. To get a peek at side two of my mini pocket letter using Fresh Cut Kit reminents please check out my IG account, @documentinglife365. Thanks for stopping by and we hope you enjoyed this little walk through our stamp design processes!